Please make sure to read the recommendation carefully before jumping to the migration steps. Plan the migration steps with the Network and External DNS teams. Export the list of blocked IP’s, senders and domains from your old anti-spam to the Forefront Protection 2010 for Exchange. Make sure to manage your customer’s expectation at the early deployment phase and try to educate them about your plan in order to win their cooperation with you. 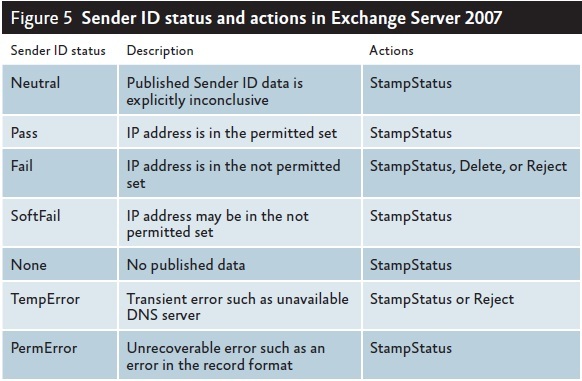 Be sure to use the right disk types to provide you with enough IO’s for your SMTP gateways. 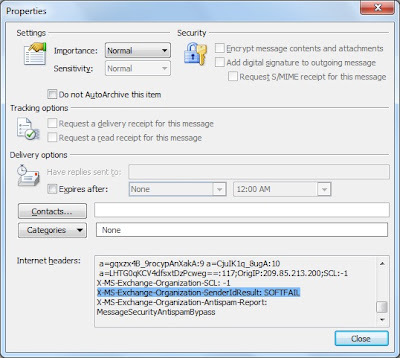 Don’t enable recipient filtering until you are sure the synchronization process has been completed on all SMTP Gateways. 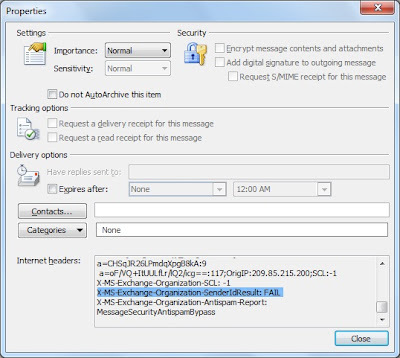 Disable the send connector that is sending to the old SMTP gateways. 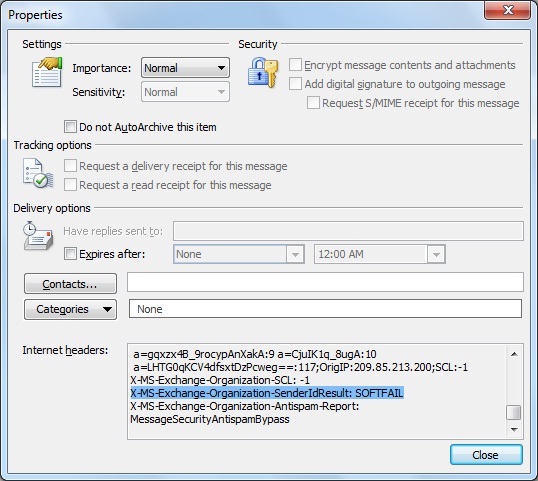 Make sure you can send mail outside your organization using the new SMTP gateways. Shift the priority of your MX records so the low priority will be your new Microsoft SMTP gateway. Make sure you are receiving emails on your new SMTP gateways. Shutdown your old SMTP gateways. Congratulations; you have done a good job. ~all or –all; does it really make a difference? 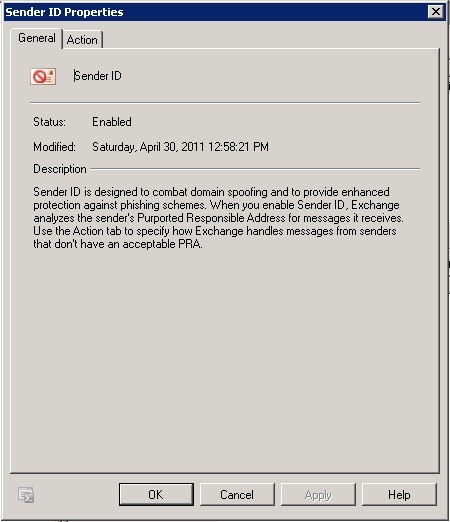 So I decided to reveal the mystery between the SPF record Pre’s especially ~all and –all and the sender id filtering options. company.com. IN TXT "v=spf1 mx ~all"
company.com. IN TXT "v=spf1 mx -all"
But what is the difference between both? 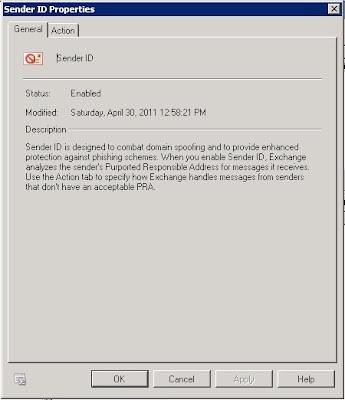 And what it has to do with the Sender ID filtering action options? 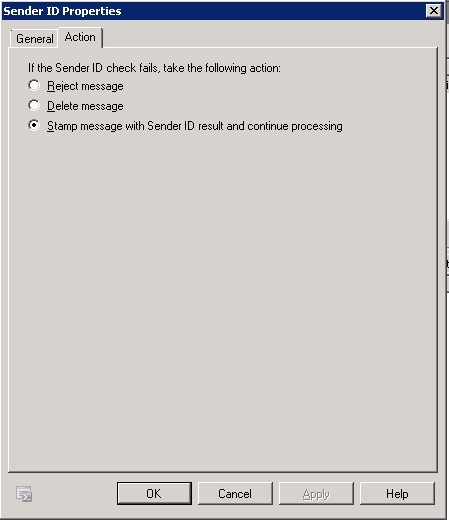 When the result is positive; whether you are using the tilde or the minus you should see the below Sender ID result in the message header. 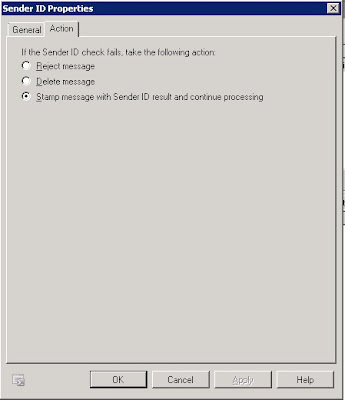 Ok I got it; the difference is when the test fails; with the tilde it will return SOFTFAIL while with the minus it will return FAIL; but what does it have to do with sender id filtering actions option? The below figure will answer this question. So the options available for the sender id to take on the mails are different according to the Sender ID status which means if your SPF is using the tilde while you set the Sender ID option to reject message nothing will happen and you will find yourself a victim to spoofing as with the tilde you can only stamp messages while with the minus you have all options.